Thousands of years ago in China, great women of spirit practiced Feminine Alchemy, and kept the practices and ancient wisdom of Taoist teachings alive, which thankfully are still available to us now. These practices offer inner rejuvenation and spiritual advancement. It is a path of true wisdom, personal discovery and transformation. In this weekend retreat workshop you will learn to access the Mysterious Feminine, nurture your deep Yin nature and honour your sacred sexuality. The jade egg practice was a closely guarded secret by the queens and concubines of the courts of ancient China. Many women who mastered the practice experienced great health, remaining young and bountiful into their elder years. They achieved great advancements on their spiritual path. This retreat is rooted in the foundations of the Universal Tao practices – includes Inner Smile, Healing Sounds, Iron Shirt Qi Gong – which gives a solid grounding to explore and transform sexual energy into a more purified form of spiritual energy – which then enhances chi/life force and enlivens your spirit. Jade itself is used as a stone because it’s properties are very gentle and healing. It is connected to the kidneys, which regulate our sexual energy and jade is also said to bring harmony to the heart. 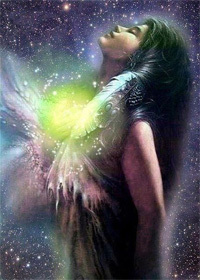 Energetically it enriches dreams and awakens hidden inner knowledge. Spiritually, Jade encourages self-realisation. Jade has been traditionally revered as a scared stone in many cultures around the world, including ancient China. You can purchase a jade egg at the workshop or get one beforehand by contacting yinway@universaltao.ie. All women are welcome to attend this retreat, it is suitable for beginners and for those who wish to deepen their practice. Yin Way Retreat is a residential workshop at Slí na Bandé, Newtownmountkennedy, Co. Wicklow with wholesome and mostly organic vegetarian food in a magical part of Ireland. The workshop is facilitated by Máire Ní G – a Certified Universal Healing Tao Instructor. Máire trained directly with Grandmaster Mantak Chia in the Tao Garden in Thailand and is dedicated to transmitting these teachings, with gratitude and honour to a long lineage of Taoist Masters.